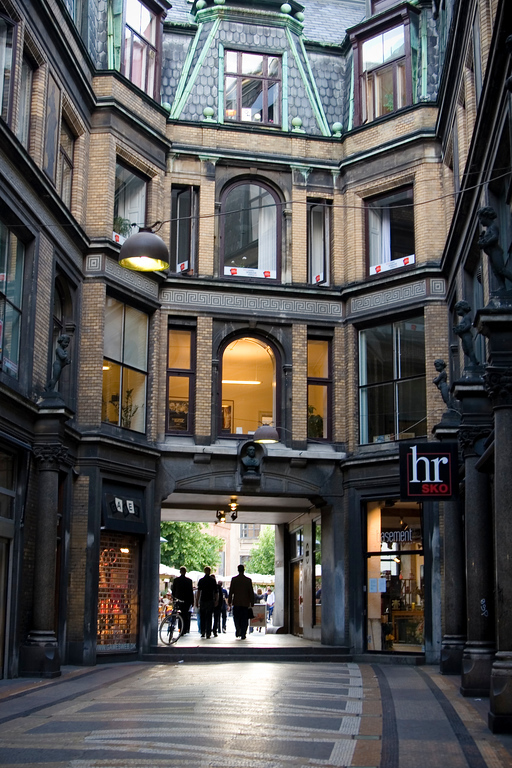 This small collection of shops in Copenhagen is called "Jorcks Passage". This photo was taken during a business trip, although it was an evening on which I set out with the specific purpose of trying to take interesting pictures. I stumbled across this small street while wandering around. This is not far from the University of Copenhagen.